Today, Gordon and I went on a magical mystery tour of the area looking for the houses of two of his new clients. We ended up in Blyth at Frameworks, where we had a lovely lunch serenaded by a gentleman piano player. 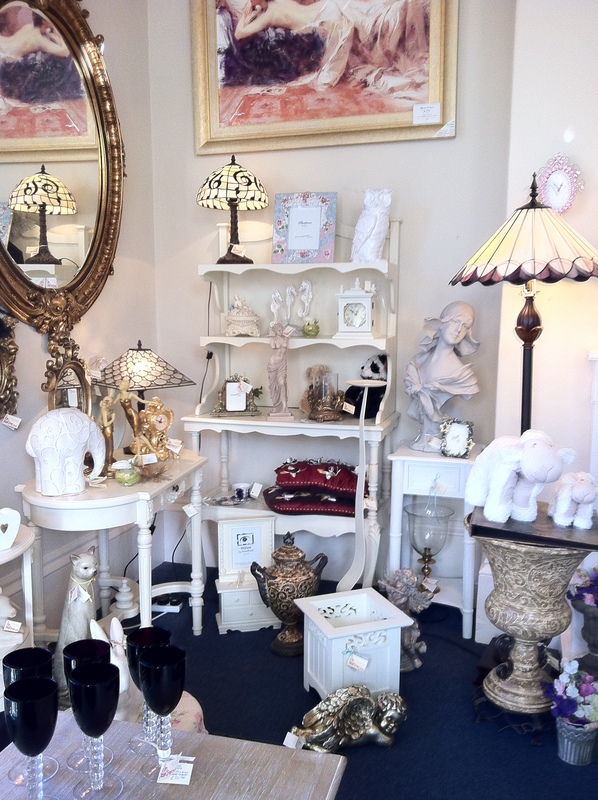 This picture is of one of the showrooms upstairs. I was very good and didn’t buy anything…….. not to say I wasn’t tempted though! Jade and I went shopping this afternoon to look for oil paint and glass cups for my liquorice tea, but somehow we ended up in a new KFC restaurant at Killingworth. 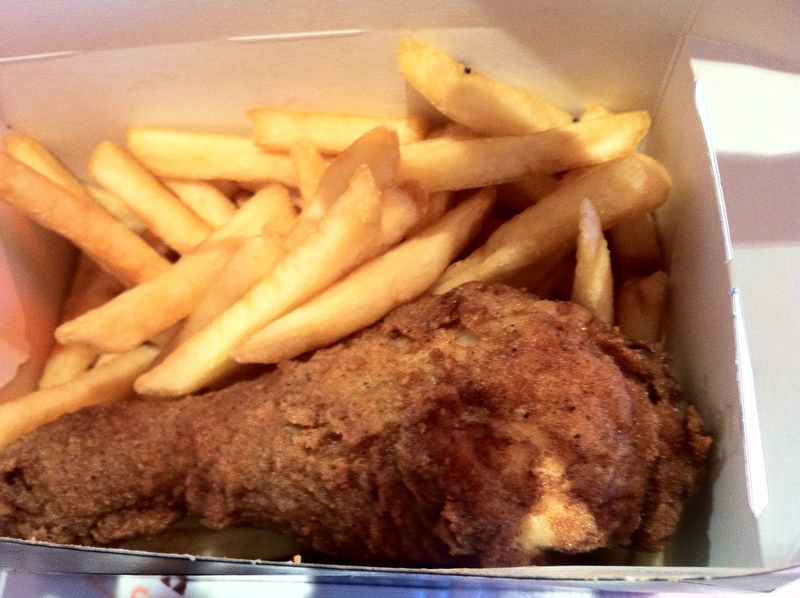 I had some chips and a rather tasty chicken leg. Must say in comparison, McDonalds chips are much better. 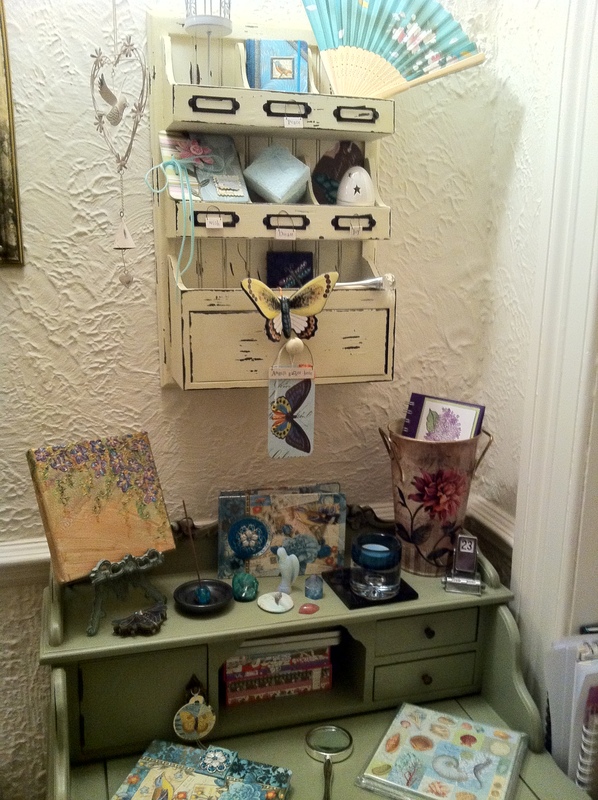 This is my little writing desk which I have positioned on the first half landing on our staircase. It reminds me of the Kermit the Frog song “Halfway down the stairs is the place where I sit” . I looked everywhere for a small desk that would fit, and drove up to Blyth to an elegant shop called Frameworks . It has a lovely cafe/restaurant with beautiful food and a piano player at lunch time. A gentleman played old style music and I’ll give away my age because I recognised music which Russ Conway used to play on the BBC when I was a child. I’ve colour themed all my knick knacks, and am pleased with the small picture I painted on the easel on the left. It still needs some encrusting I think……. a few micro beads perhaps or some ultrafine glitter to add that little element of sparkle? The little silver daily calendar on the right came from my Mum & Dad’s home and is especially dear to me. Seeing this photo in full technicolour it doesn’t look terribly healthy, but I was ravenous when Kristy and I went shopping this afternoon. We had to stop off at Morrisons as Kristy has developed a new passion, onion bits on top of pate. 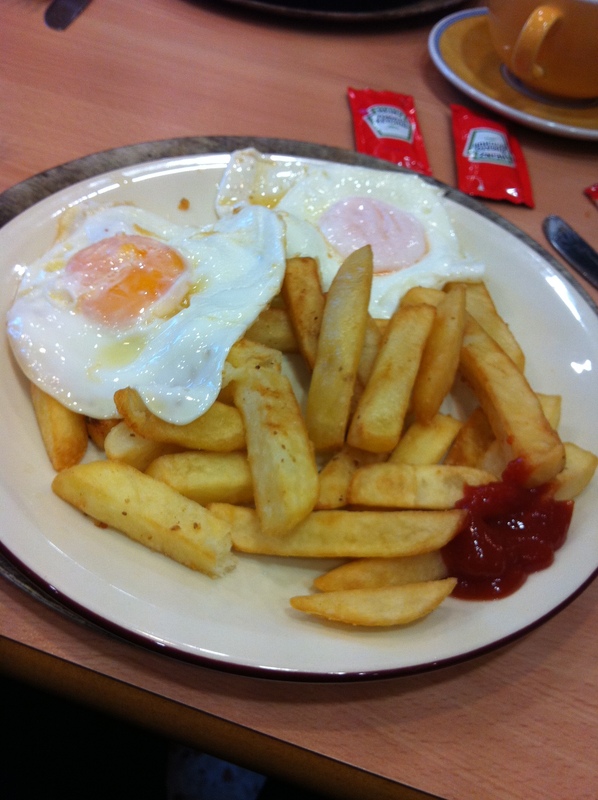 So the restaurant was calling our name and double egg and chips is my favourite on their menu. I only ate the egg yolk and not all of the chips so perhaps I can convince myself that it was relatively harmless.